Color(s): Blue, sandy, and liver, may be with or without tan points. 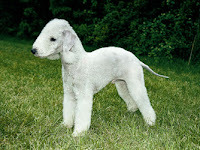 The puppies of this breed are born dark but the color lightens by about one year of age. This breed emerged during the eighteenth century in England and was initially used by gypsies as a vermin hunter and retriever for small games. They are lovingly known as the “gypsy dog.” This breed is referred to as a dog with the heart of a lion and the head of a lamb because of its different appearance and fierce conduct. These dogs are quite healthy and normally have a life span of 17+ years. However they may suffer from thyroid problems, cataracts and kidney diseases. They may also have an inherited liver problem known as Copper Storage Disease.